All Red Mountain Ranch, Sky M homes currently listed for sale in Mesa as of 04/23/2019 are shown below. You can change the search criteria at any time by pressing the 'Change Search' button below. 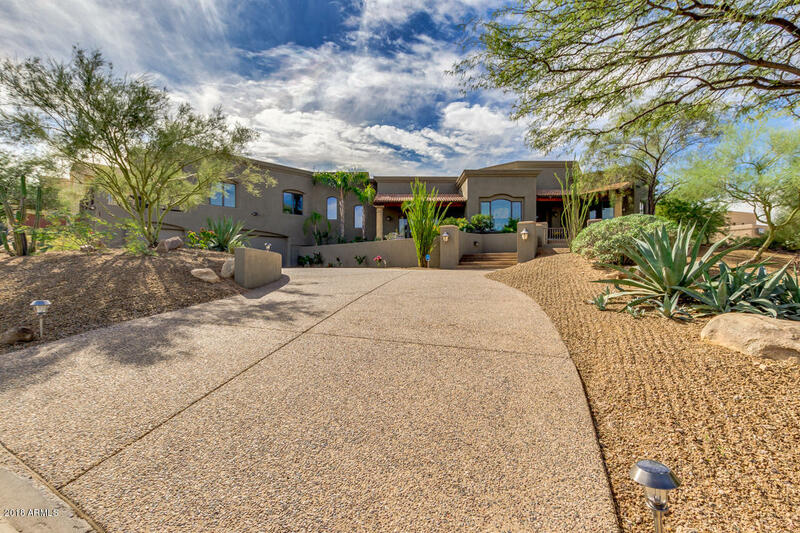 "Entertainer's dream home in the prestigious community of SKY Mountain Estates. This 4 bedroom 3.5 bath w a home office is a must SEE. JUST completed-''2-1-2019 New interior paint with beautiful new drop lights over kitchen island , kitchen table and dining room''. Master bedroom w walk in closet, jacuzzi tub. French doors from every room to the outdoor living space and pool. Guest room with private patio/suite. Library,entertaining area. Built in Art niches. Rock entry to kitchen and dining ar"